Among the new models there are printers for home and small office, for medium size businesses and wide-format machines, meeting the demands of architects and engineers. All the novelties are based on the PrecisionCore technology, used for printing text and images with high resolution and speed. In addition to this, the cost of printing, when compared to other color inkjet devices of this class, is twice as lower. According to Epson, faster speed of the new PrecisionCore models is achieved in two ways. First of all, it is the new print chips, placed in the most chilled zones, and secondly, it’s bigger amount of nozzles, allowing to increase the inkflow. The machines possess special piezoelectric elements. Behind this unique technology lays MicroTFP core, producing drops of 1.5 to 24 picoliters. Every nozzle of the printhead flows up to 50 000 inkdrops per second. Moreover, one could combine cartridges by their scaling for enhancing the flow and increasing the print speed. There are two- and four-chipped models, and all of them provide higher print speed then the preceding ones. 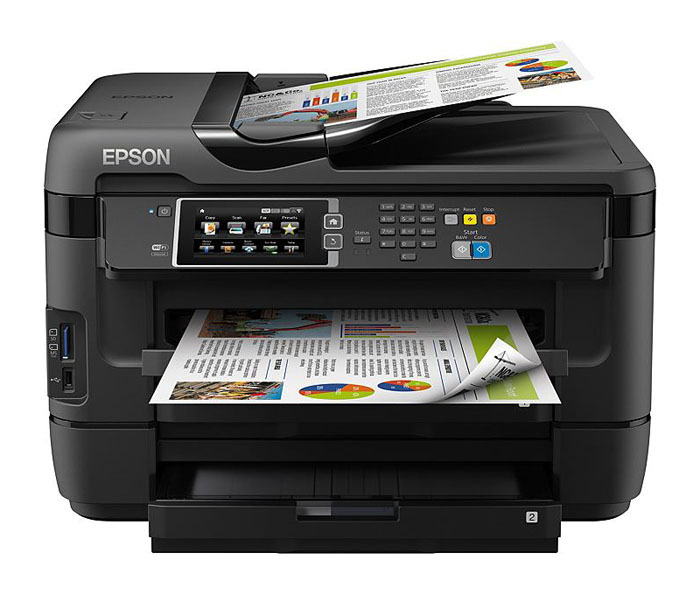 Epson insists that the new gadgets with two chips will reduce working costs by 40% if compared with color laser analogues, when the print speed is 19 ISO ppm in B/W and 10 ISO ppm in color. The same is fair and for the four-chipped models. Their working costs are 50% lower with the 20 ISO ppm (B/W) and 20 ISO ppm (color). 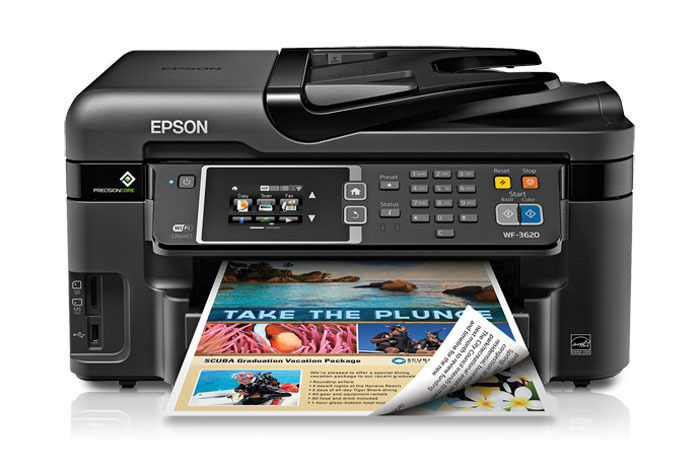 The cost of the printers will vary from $169.99 (WorkForce WF-3620) to $299.99 (WorkForce WF-7620). The whole line will hit the market in June-July and is surely worth noticing. This entry was posted on Thursday, July 3rd, 2014 at 9:01 am	and is filed under Epson, inkjet, multifunction, printer. "Roland’s New Wide-Format Inkjet Printer"